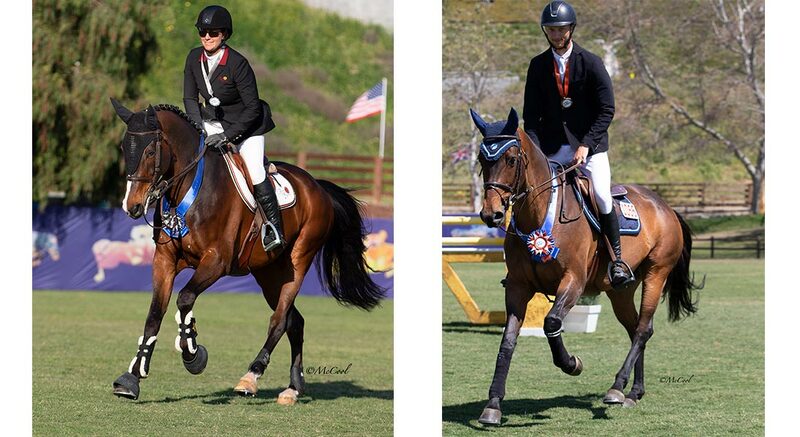 San Juan Capistrano, CA – The competition was fierce for the final legs of the FEI CSI3* Silver and Bronze Tours on Saturday afternoon. With a jump-off of ten, it was Lindsay Archer and Rhys Farm’s 10-year-old BWP Gelding, Jarpur, who topped the field in the $25,000 1.45m Silver Tour Classic. 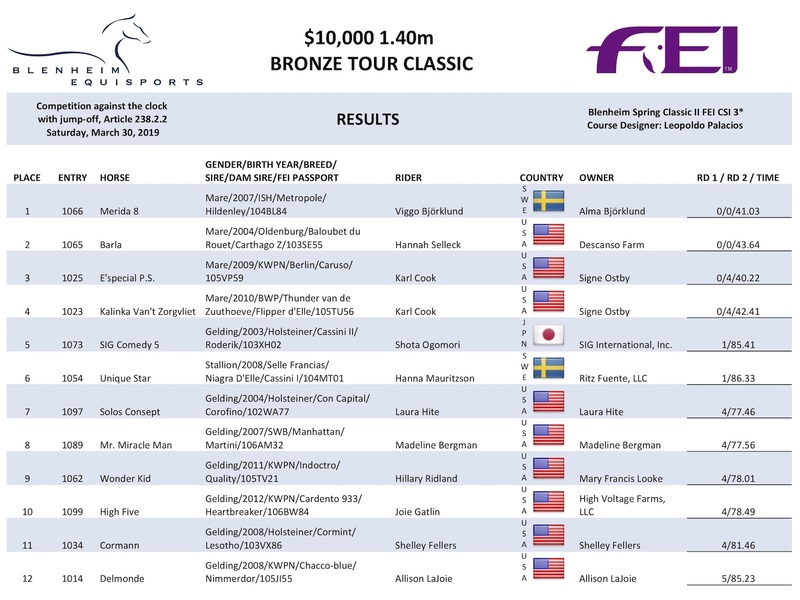 Four jumped off in the $10,000 1.40m Bronze Tour Classic, and Swedish rider Viggo Bjorklund, aboard Merida 8, a 12-year-old Irish Sport Horse mare owned by Alma Bjorklund, led the victory gallop. The afternoon began with the Bronze Tour classic competition, where twenty-three horse and rider combinations took the track, created by Leopoldo Palacios. The four who went clear for the jump-off competition included Karl Cook (USA) on both of his rides, Bjorklund (SWE) and Hannah Selleck (USA). Going last on his second horse, E’Special P.S., Cook had the winning time, but also a heartbreak rail at the final obstacle. Bjorklund and Selleck both provided clear rounds in the jump-off, but Bjorklund crossed the timers two and a half seconds faster to take the lead and the win. 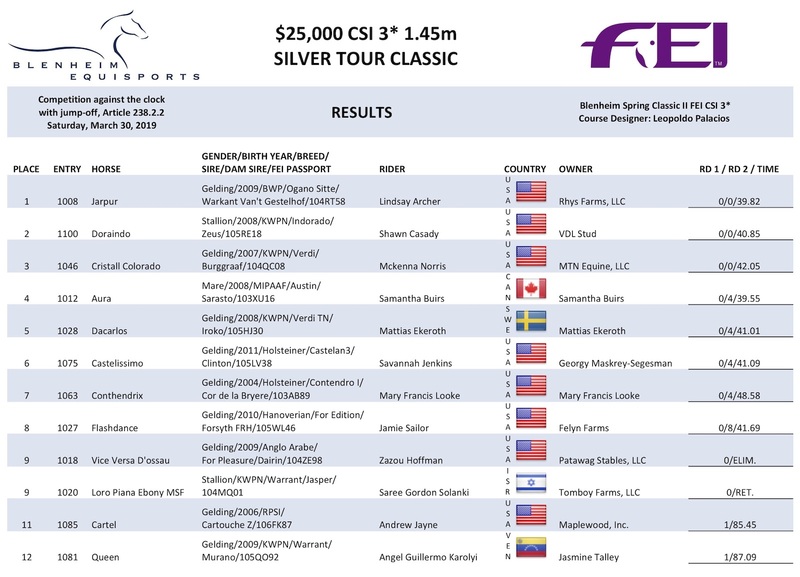 Saturday’s FEI competition concluded with twenty-nine competitors in the $25,000 1.45m Silver Tour Classic. 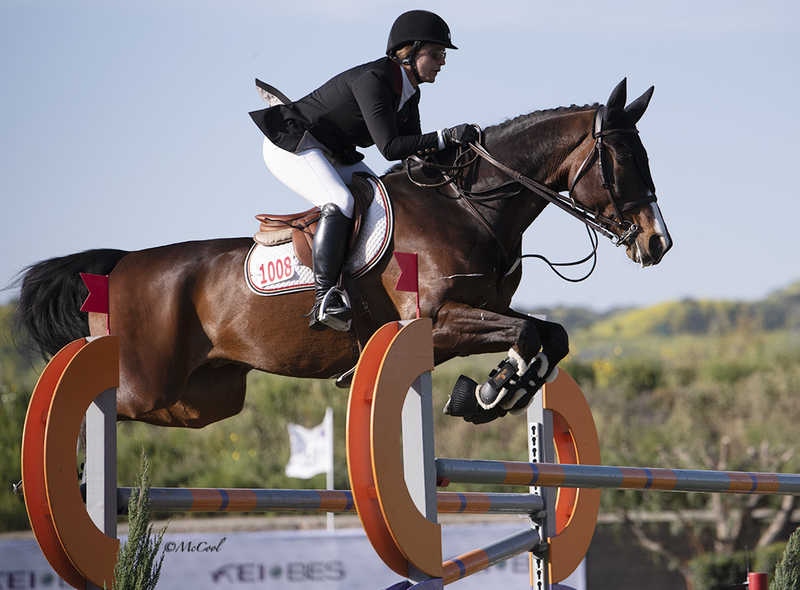 Ten competitors, representing Israel, Canada, Sweden, and the USA, crossed the timers without accruing any faults, the makings of an exciting jump-off. Rails and refusals plagued the beginning of the list, when eighteen-year-old Mckenna Norris and MTN Equine’s Cristall Colorado provided a superb clear round in 42.05 seconds. ﻿The next rider in was Archer, who was clean and quick in 39.82 seconds to jump into the lead. Last to go, Shawn Casady and VDL Stud’s Doraindo, stopped the clock in 40.85 seconds to take the second-place finish. As the only other double clear, Norris earned third place.